Kelli Sue Thompson, Nurse Practitioner, holds a master of nursing degree with honors from Texas State University. The program was based on techniques and theories of integrative healthcare. 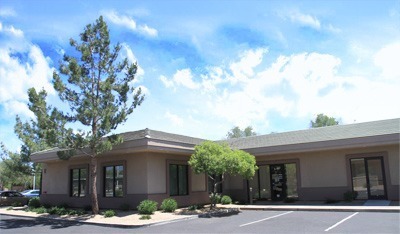 This makes Kelli Sue and exceptional fit for Arizona Pain Specialists as integrative therapies are our model of care. She brings over 20 years of nursing experience to this practice. Kelli Sue is dedicated to extreme patient care and is always searching for solutions to solve the complexities of each individual’s unique pain condition. She has attended various pain conferences at the Academy of Integrated Pain Management Society to deepen her knowledge of pain management. 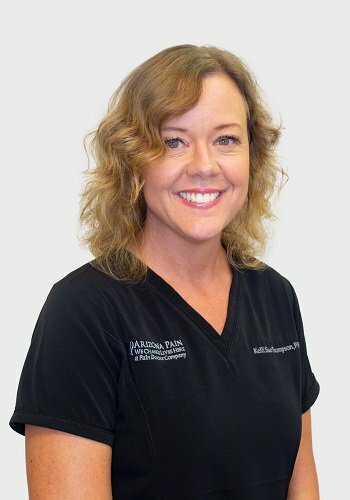 Kelli Sue comes to Arizona Pain Specialists with over two years of experience in pain management. Kelli Sue comes to Arizona pain from the great state of Texas. She has three adult children: a daughter, age 28, who works in the restaurant industry and twin boys, age 22, who proudly serve in the Texas Army National Guard. New to Arizona, she is more than ready to experience the people, culture, and wonder that this beautiful state has to offer. Kelli Sue enjoys experiencing new and challenging outdoor activities, reading and volunteering. She also loves to fish whenever she gets the opportunity both fresh and saltwater fishing.